American punk-rockers Green Day are set to release their new album Uno September 25, 2012. Plans for the creation of the album appeared in 2010, and in February 2012 Billie Joe Armstrong announced record. 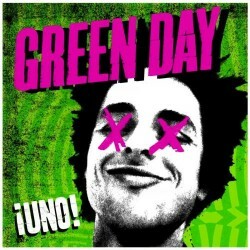 Uno will be the ninth studio album of Green Day. But ¡Uno! — this is not the whole album, but only a third. The second and third parts — ¡Dos! and ¡Tré! will be released in November and January. Although officially the album has not yet released, but the Internet has emerged to a digital copy. And our portal is first who published online chords to all 12 songs from this album.